Bauchle Fashion: " How To Dress Like A Supermodel"
" How To Dress Like A Supermodel"
Let’s break the ice here straight away – to dress like a model you need to weigh like a model or at least be close to it. And, if we are to be completely honest, almost anything looks good on you when you are thin. No, I am not promoting anorexia, bulimia or any other weight loss-illness, far from it. If anything, I believe there is nothing as gorgeous as a woman in her natural weight, stunning and proud and, most importantly, knowing how to carry herself, regardless of her being 80 pounds or 180 pounds. Working as a stylist I’ve had the honor and pleasure to work with many a model, actress, singer and all these experiences rounded up make for an amazing gather-up of ideas that you can use, even though you are not a celebrity or a model. I mean - who is to say that you can’t look chic and perfect just because you aren’t walking a runway! For an ordinary woman, every day is a runway on the streets of her city and she wants to look powerful, as she should. I have put together some ideas that will help you look and feel like a model, every day from now on. 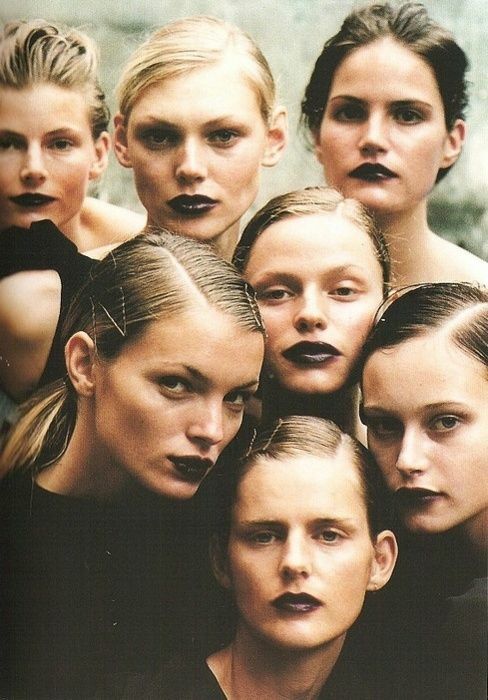 I’ve drawn inspiration from the trendiest and coolest models of today so read carefully and visualize! This young Jenner beauty is something! Even though she’s got Californian background and a family that’s all about glitter, Kendall has adopted a New York chic style that all of us admire. To copy her look, combine retro chic and modern New York – you’ll see that her clothes are simple yet always interesting. Men’s high waisted pants, a white loose shirt half tucked in or a cropped top with Lennon sunnies and a messy bun will scream “off duty model”! If you want to style it up, dishevel your hair, add pumps and a clutch, don’t forget a statement belt and you are ready to go! If you were blessed an olive complexion like Pooja Mor was, you are in advantage from the get go. But, even if you weren’t it is super interesting to copy this gorgeous model’s look. Coming from the Far East, this talented young woman brought all kinds of exotic with her. Her style off the runway is nothing but splendid, modern but drawing onto her heritage. 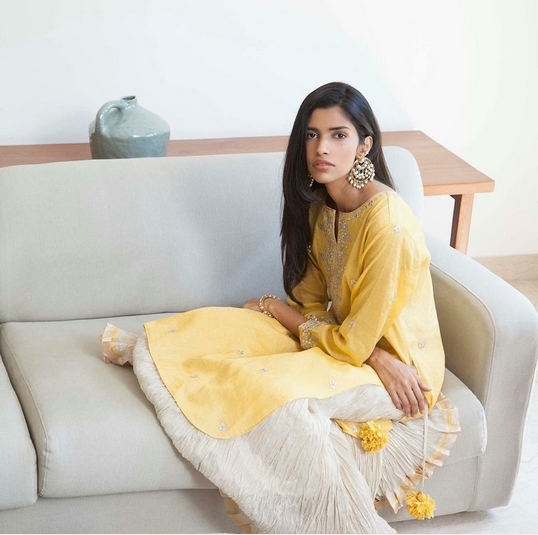 If you are a bit on the exotic side, you’ll definitely want to copy Pooja Mor’s style – she is eclectic in her clothing choices, mixing modern West and striking East; she’ll wear a jean and top it off with a colorful Indian saree to keep things close to home. As for jewelry, she is keeping things big, ethnic inspired and in line with her Indian background. Given we know her heritage, it’s exciting to see her stay loyal to where she is coming from. But if you want to copy her style, watch out for the details you put on yourself – ‘cos, if you overdo it - you’re running the chance of getting borderline costume-y. Now Cara, Cara is spectacular. Honestly, with a body like that and eyebrows that thick, she could walk around naked if she’d like and still look super cool. Unlike most of her model girlfriends, this Londoner is keeping her chic pretty London-like. When she isn’t walking a runway, she’ll throw on a pair of jean shorts, Martin boots, a loose shirt, some red lipstick and she is ready to go. Oh, right – let’s not forget about the cap on. She is what we’d call street chic and if you are a swag girl, Cara’s style is definitely what you want to copy. Remember, though – she dresses after her personality – she is fun, surprising and courageous. Combining stripy pants with a dotted shirt and biker boots is nothing new to her, just as an all-black-legging-shirt-fedora ensemble isn’t, for a toned down experience. Love her! So, who’s going to be your inspiration for the day?